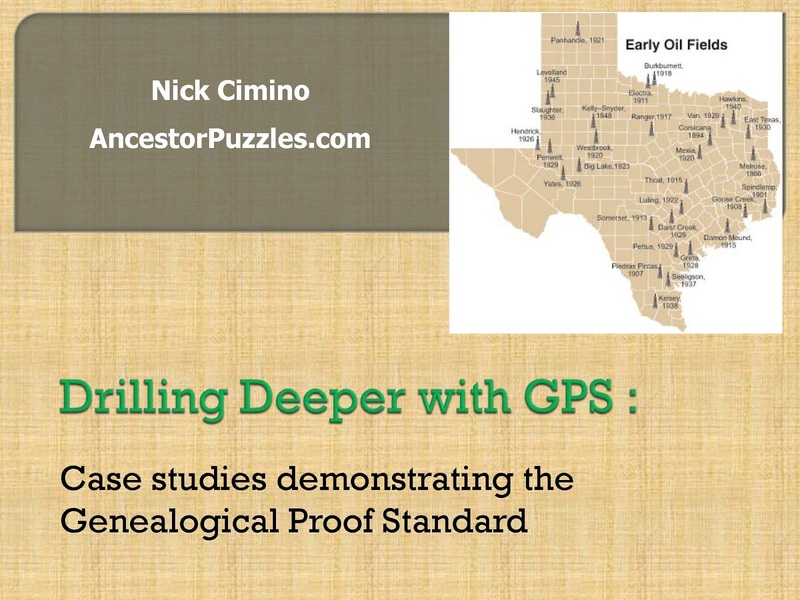 The following text and images are extracted from my presentation entitled: Drilling Deeper with GPS: Case studies demonstrating the Genealogical Proof Standard. 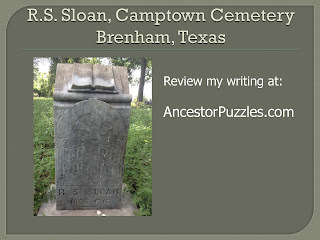 I have added hyperlinks which will lead you to more information on particular aspects of GPS. 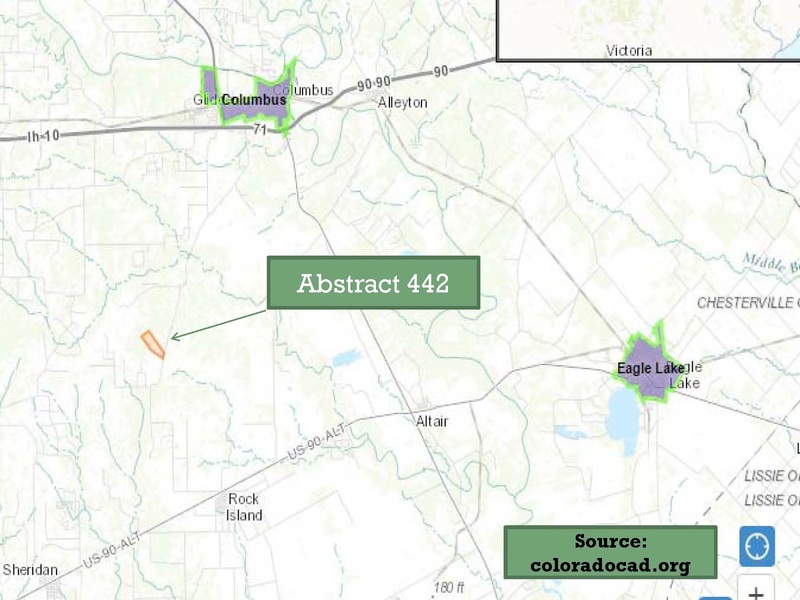 The Drilling Deeper Metaphor is appropriate for Texas because our oil industry is going back to these historic oil fields to extract every last drop. 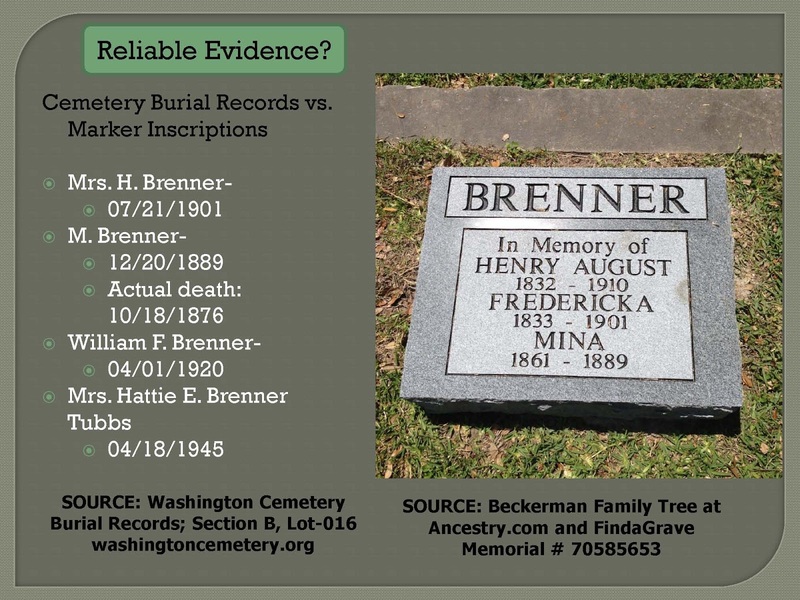 Genealogists also need to "drill deeper" using the Genealogical Proof Standard as a guide. • Purpose of GPS: show minimums for work to be credible. 1. Reasonably exhaustive research conducted. 2. 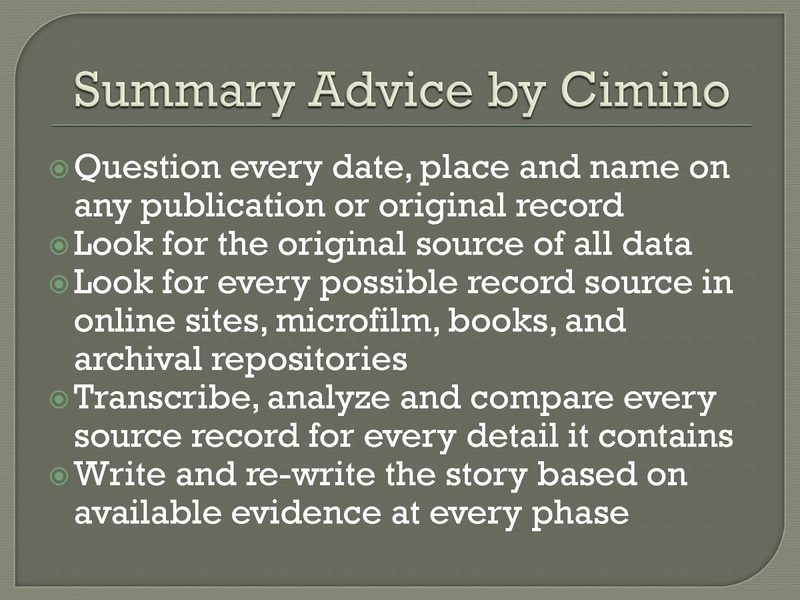 Each statement of fact has source citation(s). 3. 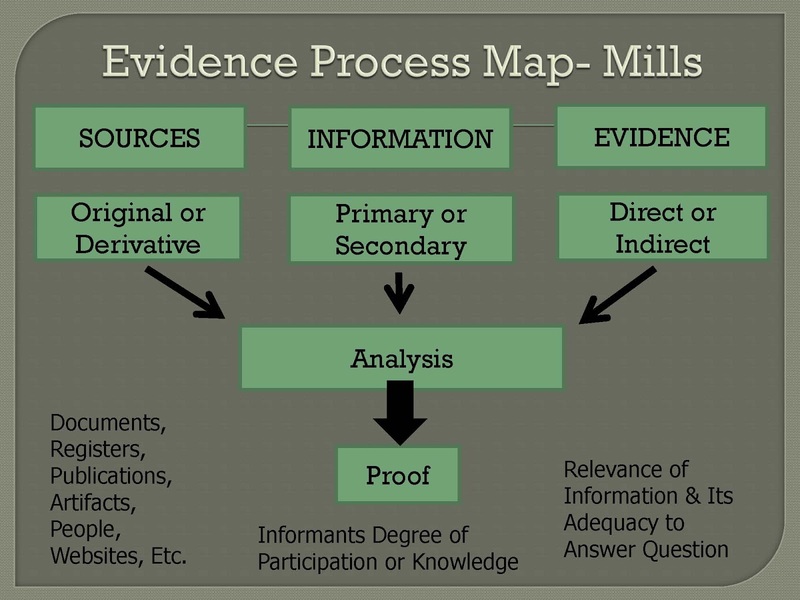 Evidence is reliable & skillfully correlated and interpreted. 4. Contradictory evidence has been resolved. 5. Conclusion soundly reasoned and coherently written. 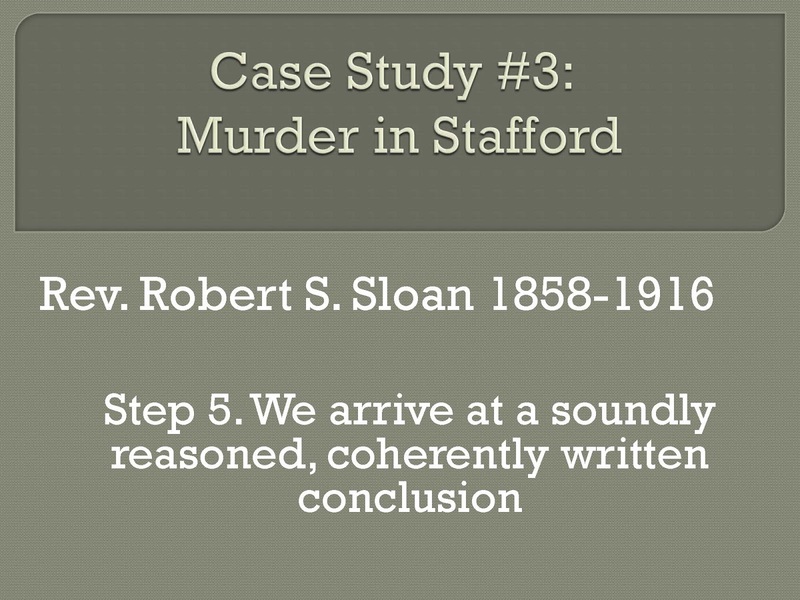 • Any proof statement is subject to re-evaluation when new evidence arises. 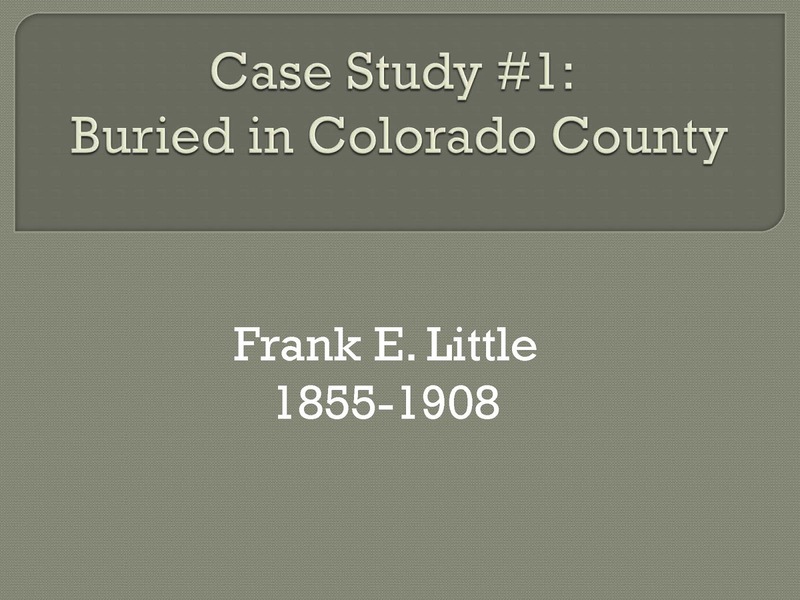 Why was Frank Little buried in the Oakes Family Cemetery? 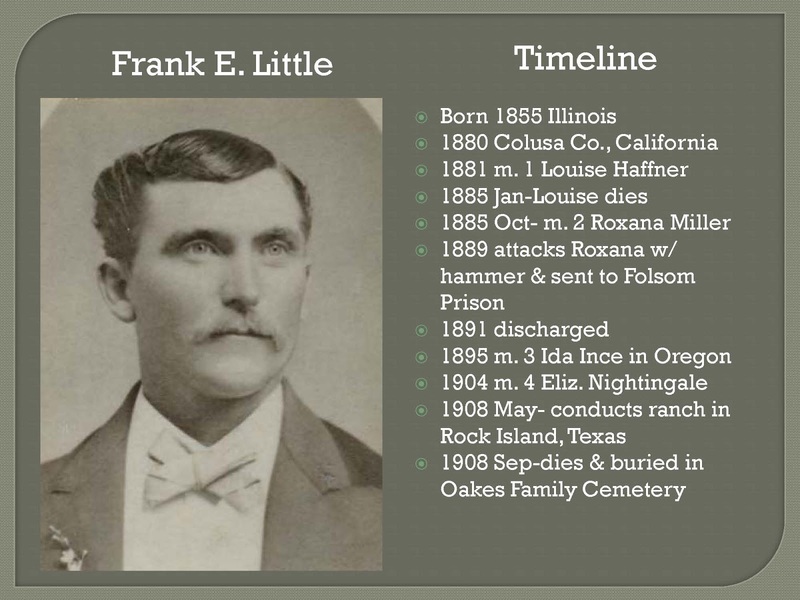 What was his connection to the Oakes Family. 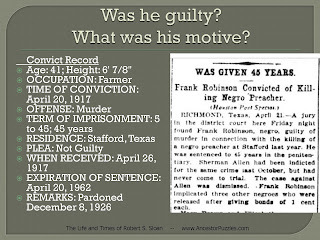 Does "conduct a ranch" mean that he was a ranch foreman or did he purchase a piece of land in a land promotion scheme? o There were no land records involving Frank Little so maybe the ranch foreman was the more reasonable conclusion. 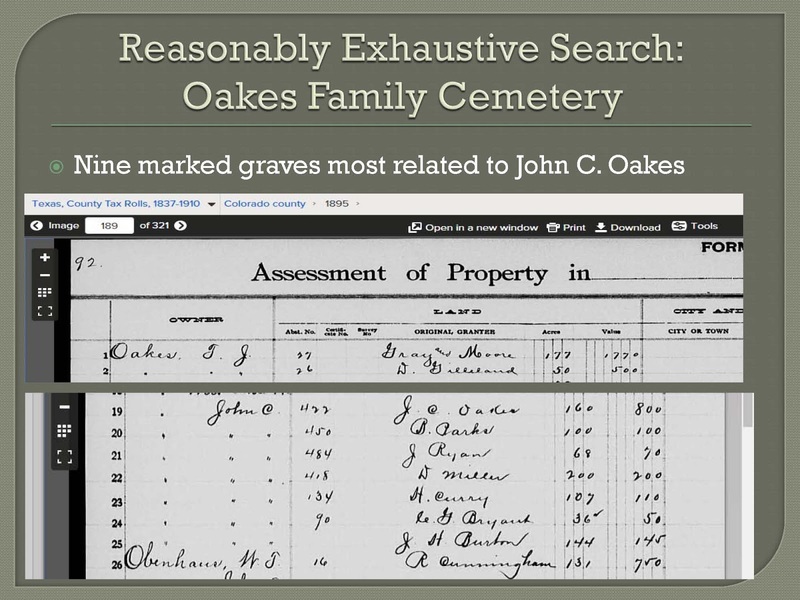 John C. Oakes owned several parcels of land on which he was conducting ranch operations as shown in this tax record. 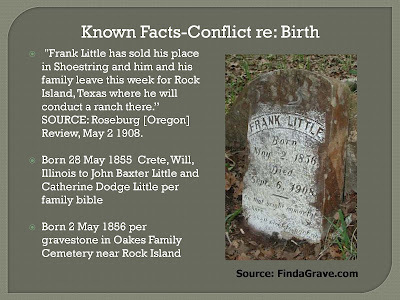 Current landowners might know more about the cemetery and the Oakes family history. 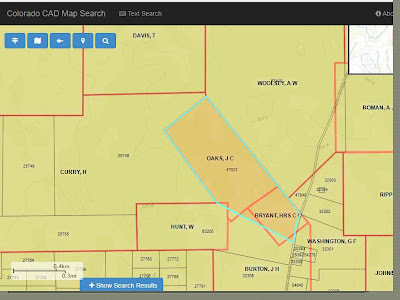 The mapping function of the county appraisal district website offers some great images to help illustrate your family history and put the ancestors in a geographic context. 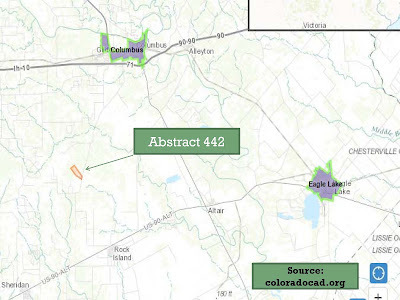 The is the outline of the original land grant held by John C. Oakes. 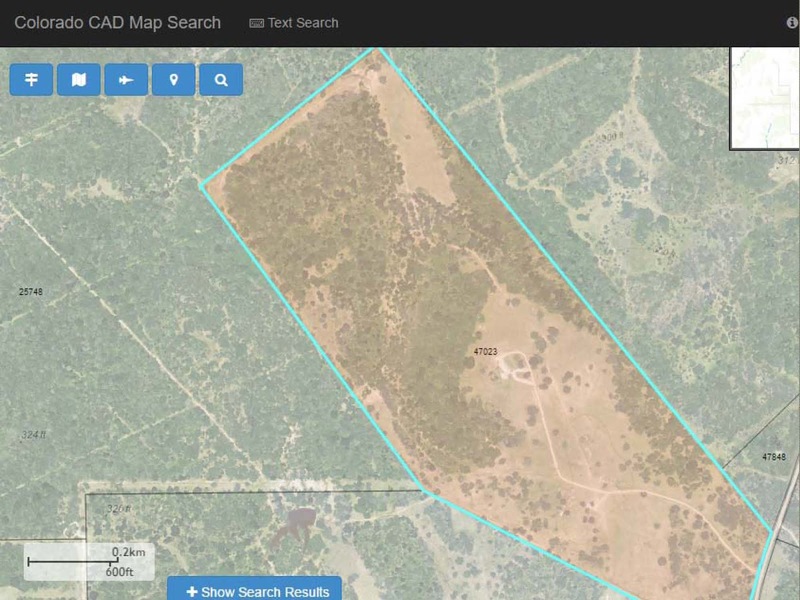 All of these images from the county appraisal district website offer interesting geographic details including this satellite view. 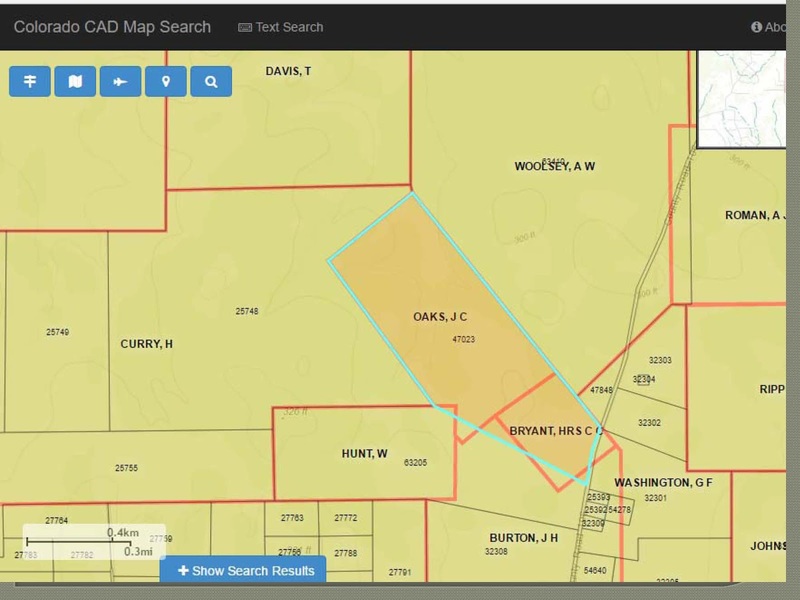 The ownership information in the appraisal district database allows a genealogical researcher to contact the current owner for more information about the history of the property. 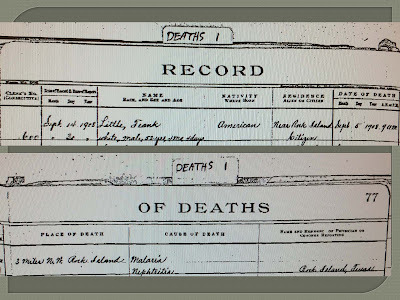 There were no death certificates available for Colorado County in 1908 on Ancestry.com or FamilySearch.org but Colorado County had these images from the original death ledger. 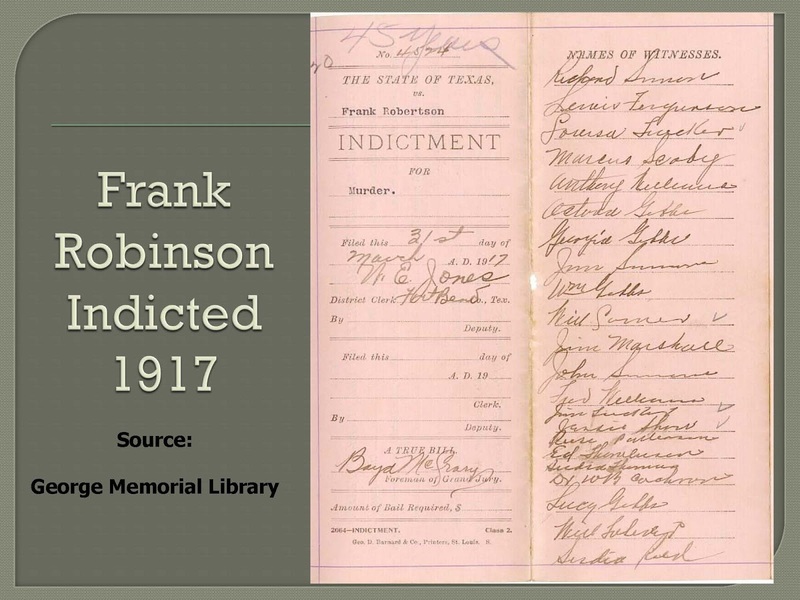 A visit to the courthouse is an essential element of a "reasonably exhaustive search." 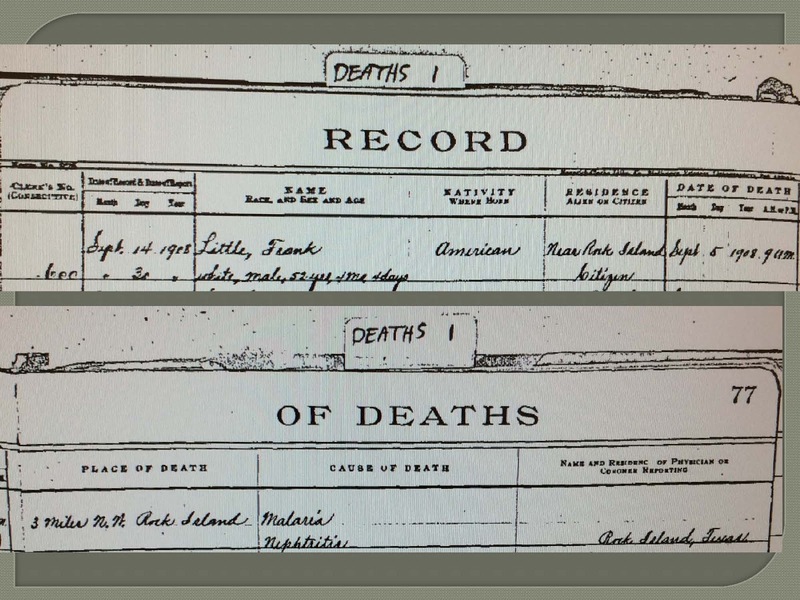  Earliest year available online for Colorado County death certificates is 1902. 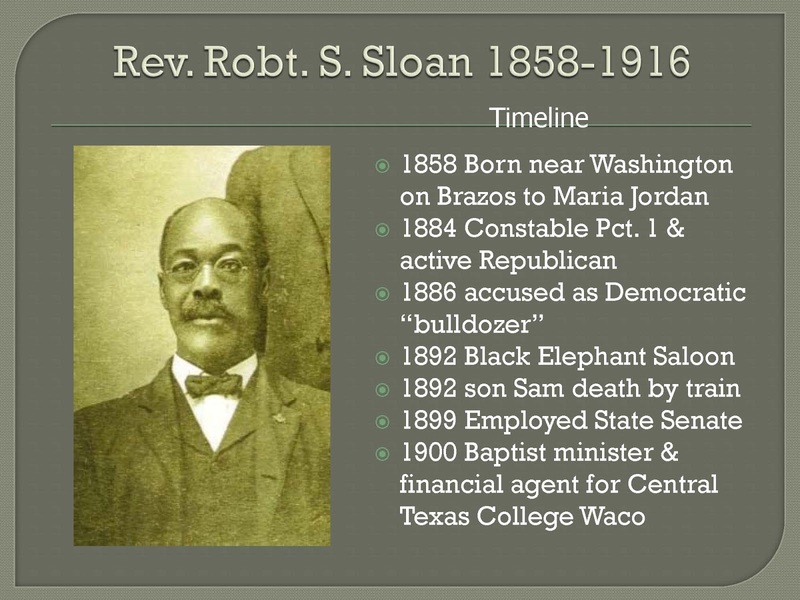 Then there is a gap in the records until 1909. 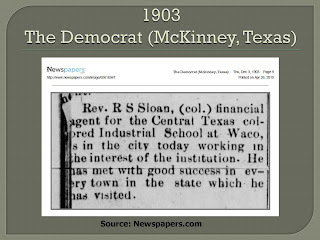  Notes on the content of the film state: Microfilm of originals in the Colorado County courthouse in Columbus, Texas. 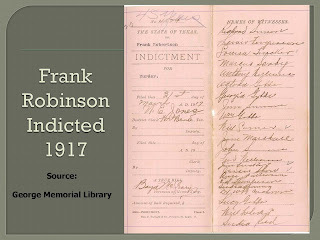 Includes general index with some volumes individually indexed. 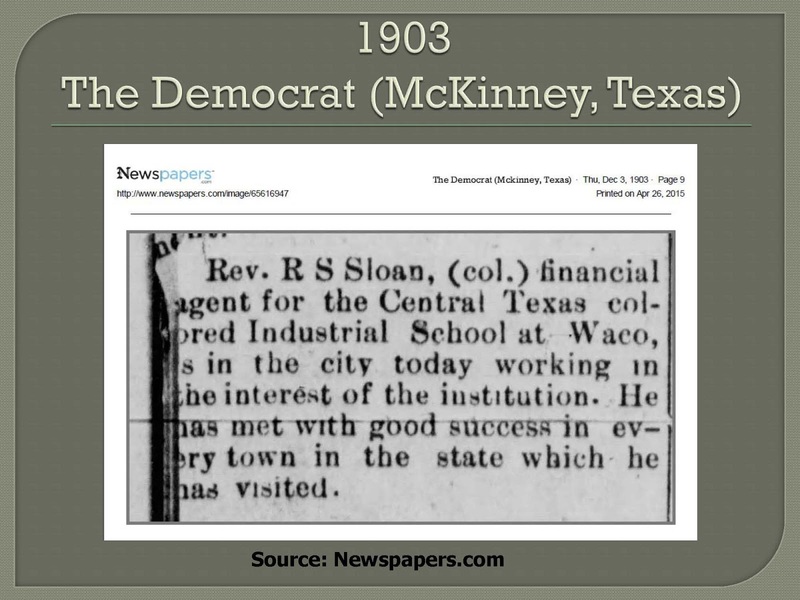  County clerk website offered a search for a fee. Call first! 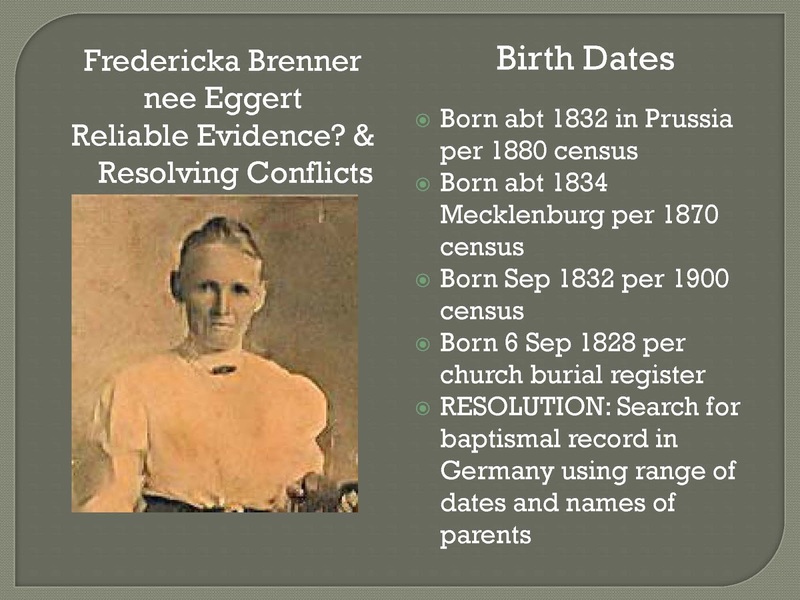 The numerous birth dates and locations shown for Fredericka Brenner can be resolved by "drilling deeper" into parish records in Germany. Grave markers may not always be the most reliable evidence especially if they are placed decades after the events. 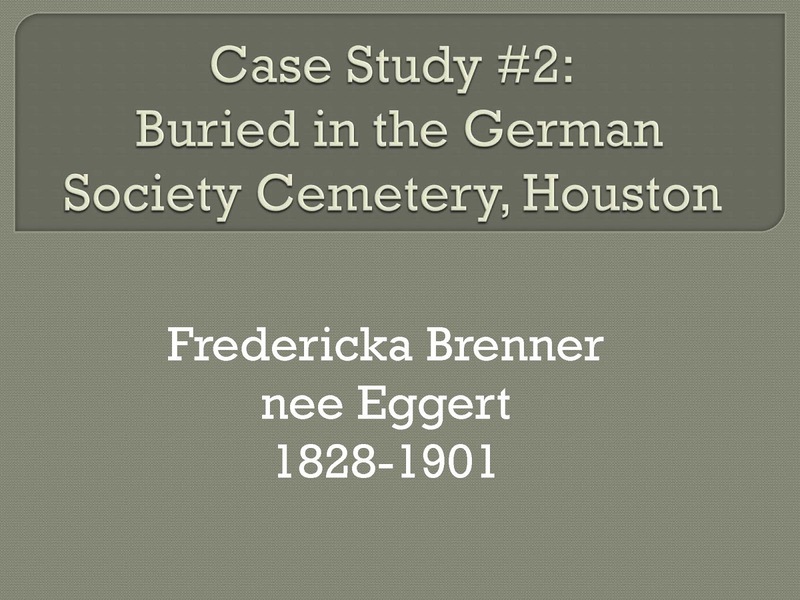 The German Society Cemetery known now as Washington Cemetery did not exist until the 1880s. 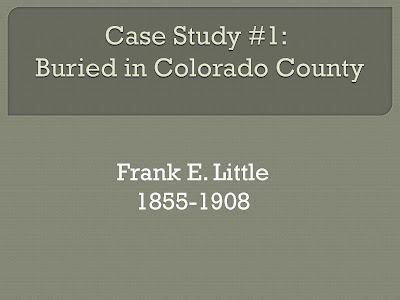 Do not misinterpret interment dates as death dates. 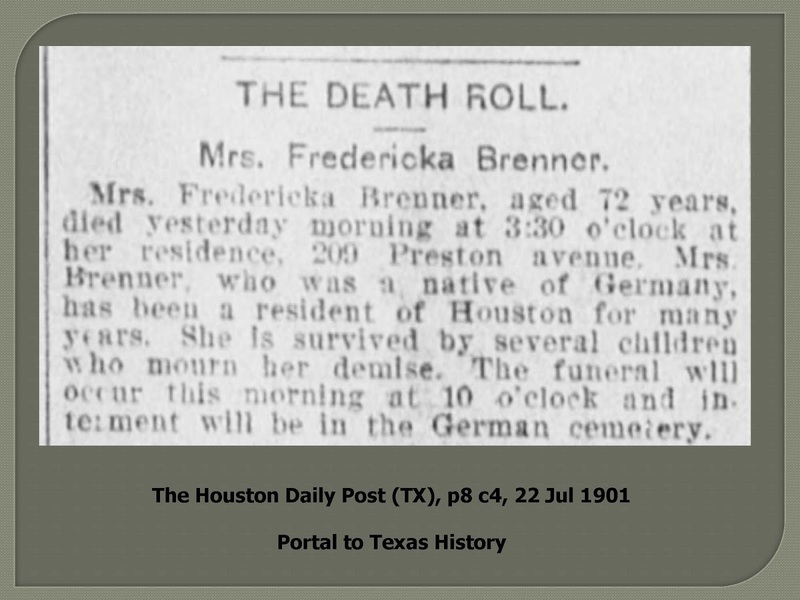 For example, Mina Brenner died in 1876 and was relocated to the new family plot in 1889. 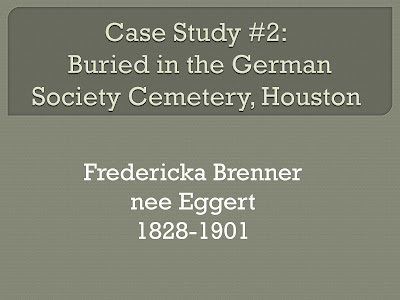 Henry August Brenner is known to have been buried in another cemetery. 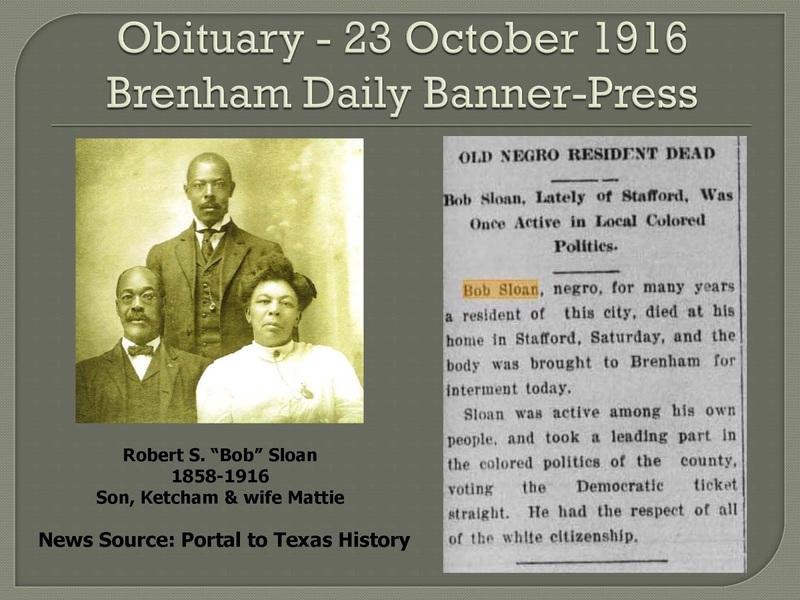 The marker was placed recently by a descendant who was attempting to reunite the family after the fact. The church burial record gives a place of birth for Fredericka Brenner nee Eggert as Steinke in Saxony. 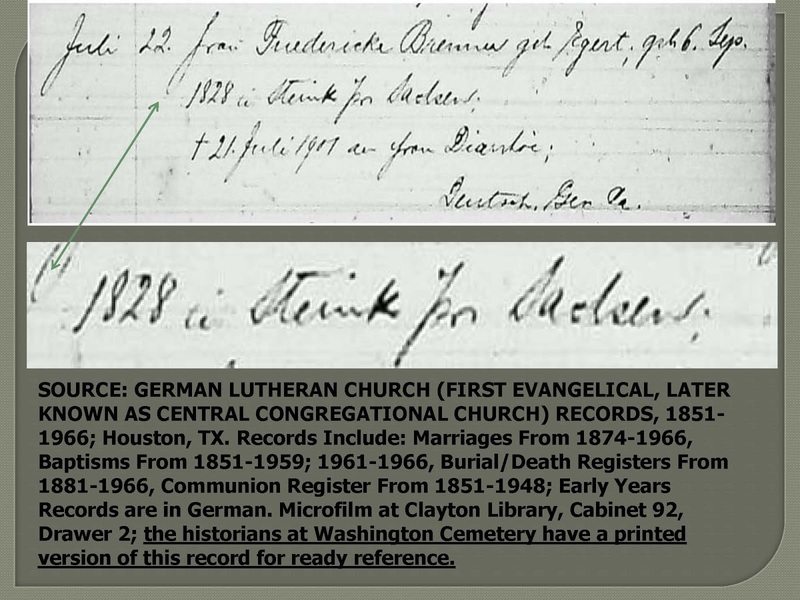 The parish records in Germany need to be searched to reveal the precise location and date of the birth. It is helpful to include the page and column number in a newspaper citation. 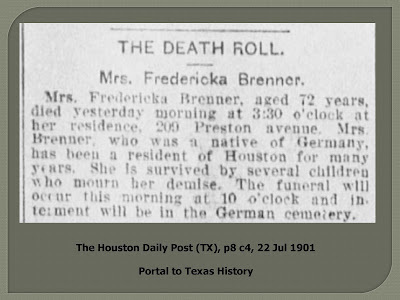 Unfortunately, this obituary record does not reveal the names of the "several children." 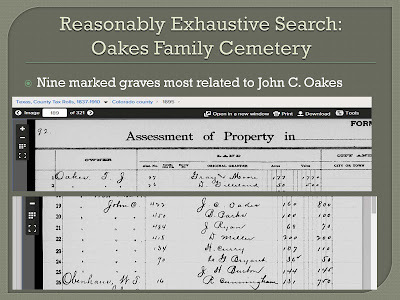 Probate records also need to be searched to meet the "reasonably exhaustive search" standard. • Who Shot R.S. 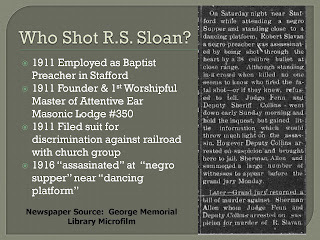 Sloan? 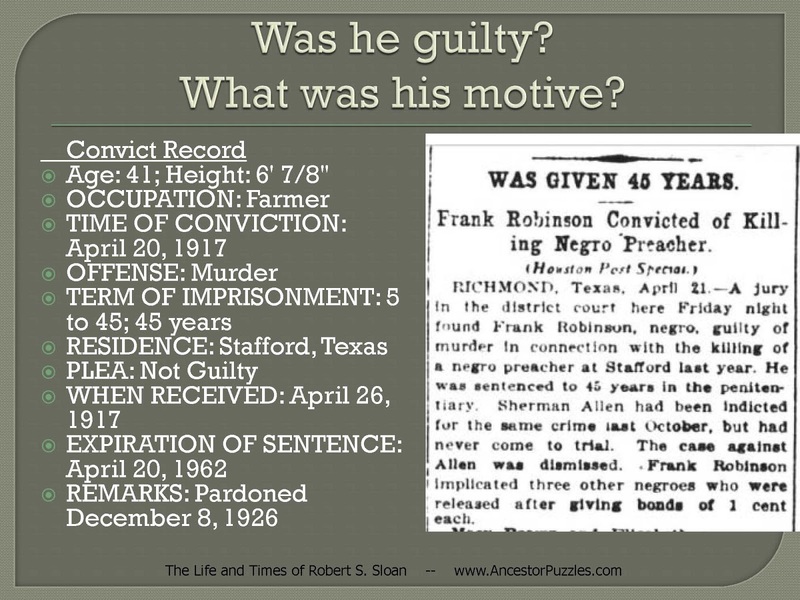 • What was his motive? 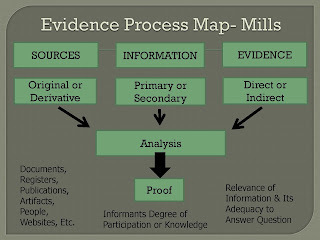 o Evidence must all point in same direction. If not that evidence must be negated or refuted. 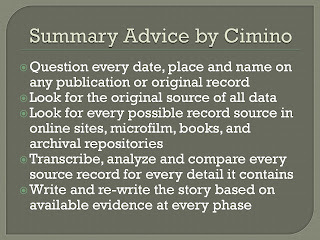 o Write up the conclusion. 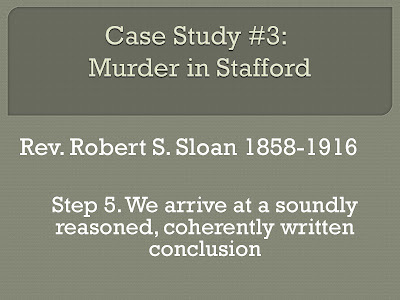 Include an explanation of any opposing evidence and how it was resolved. Include citations. 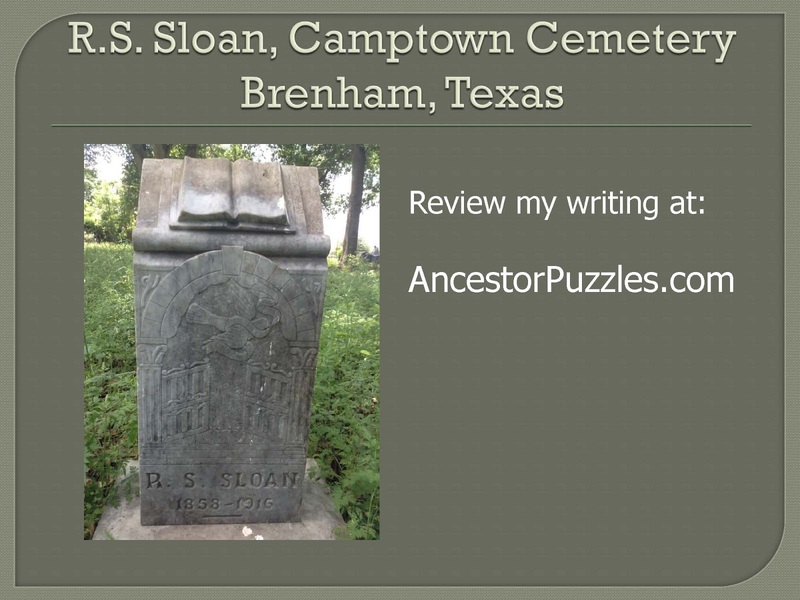 • Do the puzzle pieces belong to your ancestor puzzle? 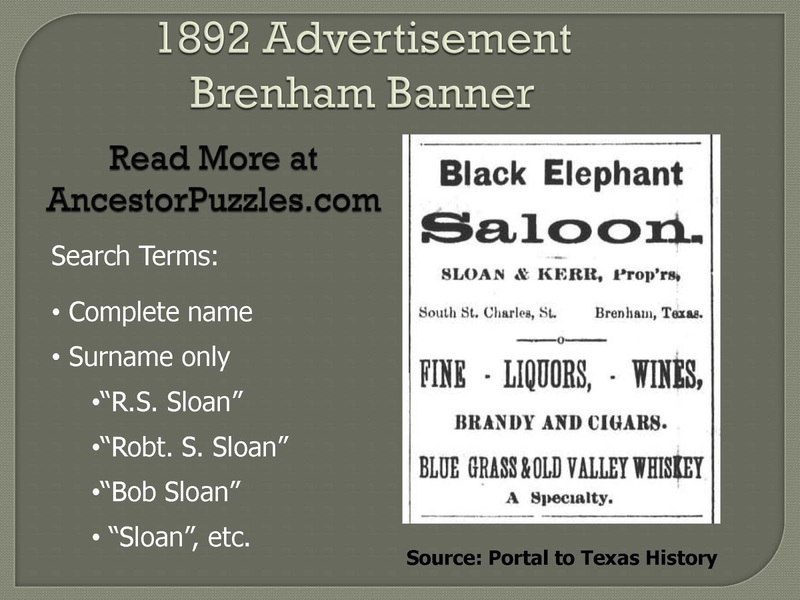 • Do you have the puzzle pieces in the right place and in the right direction? 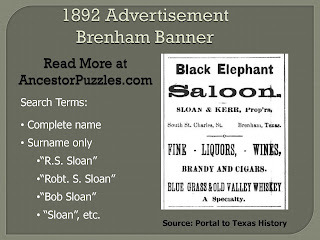 • With a sufficient number of pieces, a clear picture or reliable answer may emerge even when pieces are missing.